iCub cleaning the table, for which it uses previously learned models of tool affordances, automatic tool recognition and pose detection, object segmentation and full/empty hand classification to achieve its task. 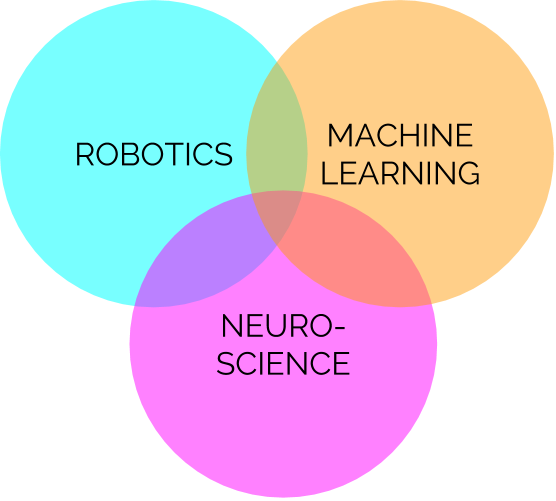 My research interest is to develop robots capable of autonomous learning and exploration, through the application of machine learning techniques and insights provided by neuroscience. Enabling depth-driven visual attention on the iCub humanoid robot: instructions for use and new perspectives. Giulia Pasquale, Tanis Mar, Carlo Ciliberto, Lorenzo Rosasco, Lorenzo Natale. Frontiers in Robotics and AI 3 (35). Optimization of ECG classification by means of feature selection. Tanis Mar, Sebastian Zaunseder, Juan Pablo Martínez, Mariano Llamedo, Ruediger Poll. Biomedical Engineering, IEEE Transactions on 58 (8), 2168-2177. Self-supervised learning of tool affordances from 3D tool representation through parallel SOM mapping. Tanis Mar, Vadim Tikhanoff, Lorenzo Natale. Robotics and Automation (ICRA), Singapore 2017. Multi-model approach based on 3D functional features for tool affordance learning in robotics. Tanis Mar, Vadim Tikhanoff, Giorgio Metta, Lorenzo Natale. Humanoid Robots (Humanoids), Seoul, 2015. Self-supervised learning of grasp dependent tool affordances on the iCub Humanoid robot. Tanis Mar, Vadim Tikhanoff, Giorgio Metta, Lorenzo Natale. Robotics and Automation (ICRA), Seattle 2015, 3200-3206. Self-supervised approach for tool affordance learning on humanoid robots. ​Tanis Mar, Vadim Tikhanoff, Lorenzo Natale. AIRO, Italian Workshop on Artificial Intelligence and Robotics 2015.